Description: Motorcycle. Products from model year 2010 are affected. The product poses a risk of injuries because there is a possibility that the hooks fastening the top box to the motorcycle could break causing the top box to fall off and leading to an accident. The product poses a risk of injuries because under certain conditions, the engine's internal lubrication lines could be restricted by aluminium particles, reducing the lubrication capacity and increasing the friction of the parts, which could, ultimately, lead to engine seizure. The product poses a risk of fire because an acidic mixture of battery electrolyte and water may drip from the drain hole of the battery box on to the top of the fuel pump, leading to cracks around the fuel pump hose connector area. As result, fuel will leak from the fuel pump while starting or riding the vehicle. Ab MJ 2010: SD03, e9*2002/24*0421*00. 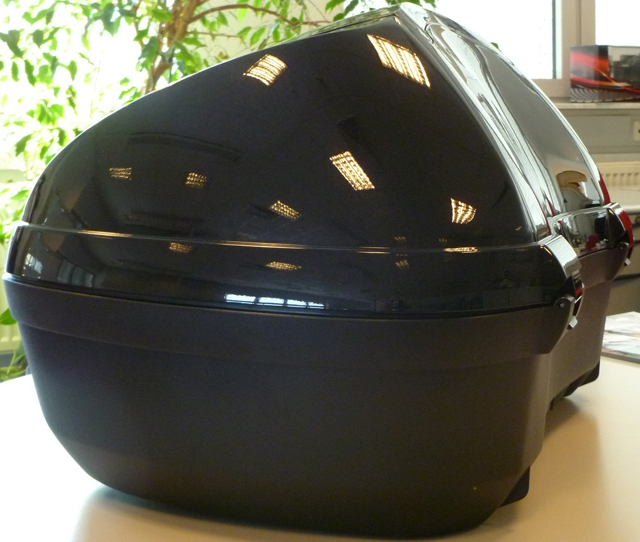 Description: Top box which is an accessory for certain Honda motorcycles. The motorcycles concerned are 2009-2011 models. The product poses a risk of injuries because the top box mountings may break, with the result that it could fall off whilst the motorcycle is moving. The product poses a risk of injuries because, under some riding conditions, the bank angle sensor can malfunction which can lead to the engine stalling when idling or when the motorcycle is being ridden. Description: The recall concerns motorcycles manufactured between 24 October 2007 and 15 June 2011. The affected VINs and Type Approval numbers are attached. The product poses a risk of injuries because, due to interference between the rear brake reservoir hose and the bolt of the speed sensor guide located on the swing arm, the rear brake reservoir hose may become damaged. Continued use in this condition can result in loss of brake fluid and air can be ingested into the rear brake system. As a result, rigidity of the foot pedal drops due to air ingestion and the function of the rear brake pedal can be lost. The recall concerns certain 2010 model year vehicles produced from the 27th January 2010 to the 23rd May 2011, with Type Approval No. e4*2002/24*1792*04. Corrosion on the front brake lever pivot bolt may result in the front brake dragging and, in the worst case, the front brake locking. Hydraulic pressure may remain in the rear brake system even when the brake is released causing the rear brake to drag. The resulting temperature increase of the rear brake could, in the worst case, result in a fire. Type/number of model: the recall concerns certain 2012 vehicles produced from 25 September 2011 to 19 July 2012. Due to an inappropriate heat treatment process, it is possible for the drive chain plates to suffer a delayed fracture, causing breakage of the drive chain.